Having a properly working garage door for your home or business is essential for safely and conveniently leaving your property, modernizing your building’s exteriors and adding overall value. That’s why you need a quality garage door system with a knowledgeable and reliable garage door servicing company. At EXL Garage Doors, our trained and experienced team has over 20 years of experience working with a variety of residential and commercial garage door types and brands. We provide the most comprehensive garage door repair, maintenance and installation services throughout Tennessee, including the Franklin, Gallatin and Nashville areas. Why Choose EXL Garage Doors for Your Garage Door Service & Repair? What Can EXL’s Service Team Do for You? With regular daily use, you need to ensure you have an exceptionally crafted and well-maintained garage door, and at EXL Garage Doors, we can help you with any garage door replacement or repair project, large or small. We’re dedicated to offering the most attractive, reliable and functional garage door products from trusted and highly rated brands, including Clopay garage doors and LiftMaster openers featuring quality construction and the latest technology available. All our garage door product installations and services are personalized to your unique needs and are intended to add convenience and ease to your daily routines. Residential and Commercial Garage Door Replacement: All our Clopay garage doors are constructed from the highest-quality materials to withstand various climates and heavy-duty wear and tear. They are available in a variety of garage door styles, from classic to rustic to contemporary, to add value and enhance your home’s aesthetic. Comprehensive Repair Services: Average homes are estimated to operate their garage doors at least 1,500 times per year, and with constant use, breakages and wear are common. Our trained and experienced technicians can help you with any garage door repair services, including broken springs; worn cables, pulleys and tracks; damaged panels; or opener malfunctions. Garage Door Maintenance Plans: Keep your garage door in proper and reliable condition with regular door and opener maintenance performed at least once per year. With routine maintenance, we can prolong the lifespan of your garage door, help you save on last-minute repair costs and ensure safe operations. Garage Door Opener Installation: Benefit from today’s latest technology and conveniences with a new LiftMaster garage door opener installation. Our openers feature several advanced features, including Security+ 2.0 and MyQ technology with smartphone accessibility from anywhere in the world. Specialty Garages: Are you looking for a tricked-out garage design, where you can easily and safely work on your car? The professionals at EXL Garage Doors can help you create a garage fit for car lifts so you can reliably and securely lift your car as needed. Call EXL Garage Doors Today! 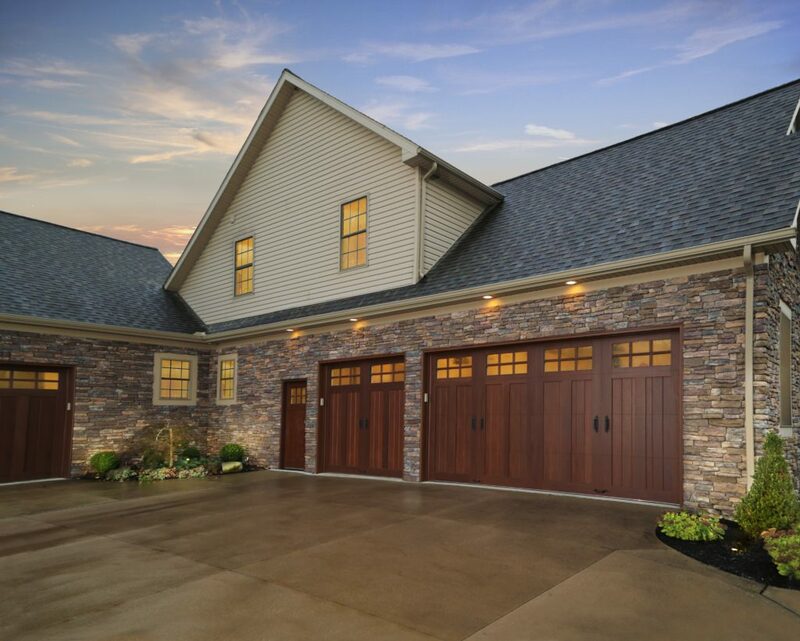 For more than 20 years, EXL Garage Doors has been the premier full-service garage door company serving communities throughout Tennessee, including Franklin, Gallatin and Nashville. We pride ourselves on offering the greatest-value products and personalized solutions for all our customers. To ensure exceptional customer experiences, we also provide free project estimates and fair, transparent pricing. Check out our wide selection of Clopay garage doors today by visiting our showroom, where our design and installation professionals can help you select an attractive door that best fits your budget and style expectations. To learn more about our garage door services throughout Tennessee, call us at 615-863-5106 or fill out our online contact form to request services.